Wuala (Hottingen) 0 out of 5 based on 0 ratings. 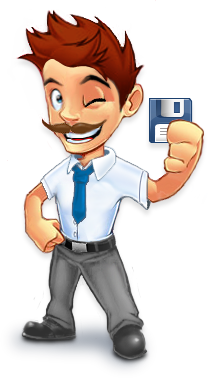 * Everybody is Pro: We want every Wuala user to enjoy the benefits of backup, sync & file versioning. There is no more distinction between "pro" users and everyone else. * Business Groups: We have introduced a new type of group called a "business group". The main difference is that files in a business group belong to the group, not to an individual user. In particular, you can buy storage for a business group. The storage for a file in the business group is counted against the storage for the group, not the user who uploaded the file. * Reorganized main menu: We have reorganized the main menu in a more logical way. "New..." actions are now available from a dropdown toolbar button. Also, we have renamed some items, for example "friends" are now called "contacts". * Discoverable UI: In the past, new users have been overwhelmed by the many options the Wuala UI offers. In order to allow a gradual discovery of Wuala, we only show the items "groups" and "contacts" when the user actually has groups, etc. The sync and backup overviews have been moved to their own windows, accessible through the main menu. * Sync Indicators: We show annotations showing the progress of a synchronisation in the Wuala client. An element in the tree can be "unknown" (no icon), "to do", "in progress" or "ok". On Windows, we also show this state in the Windows Explorer.